Your task buddy. Your sidekick. The faithful companion that keeps you alert and company as you write that research paper, prepare your taxes or hop from arena to arena, class to class. It helps wake you up, keep you up, and accompanies you everyday, everywhere. You may even have a pet name for it like Joe or Juan or Brewster. Love it or hate it we all know of that someone who cannot function without their beloved cup of magic beans – COFFEE! But, is it really the faithful, take along friend you’ve come to rely on anyplace, anytime or is it robbing you of one of your most precious and attractive facial features? Your teeth! After decades of declining numbers, it appears that the incidence of decay is on the rise again. We’re not talking 1-2 cavities either. We’re seeing six to 10 cavities, or more in patients who have never really had a history of dental decay. Various studies point to a variety of factors that are causing this upswing in decay such as meal frequencies and the amount of low nutrient, highly processed foods that are available to us. If you feel that you are getting more than your fair share of cavities, despite a good oral hygiene routine, you may want to rethink the way you consume your favourite comfort fuel. We’re Canadians and we love our Timmys or McDs or Starbucks. 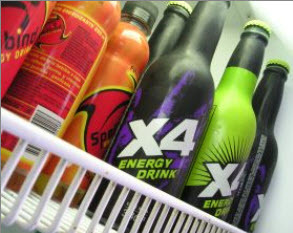 And for a new generation of consumers, it is the energy drinks that are providing the extra octane needed. While 2 or 3 cups of java a day, and a caramel latte here and there may not seem harmful enough to cause any great health concern it’s more a matter of HOW we drink our coffee. When you sip, sip sip, every last drip, drip drip All…Day…Long, you set the perfect stage for cavities to occur. Constantly feeding the germs in your mouth sugar, milk and cream is like “Baby bottle decay“, but in adults. We’ve blogged before about how the cavity process works. We cannot emphasize enough the importance of allowing time in between your meals/drinks to allow your saliva to heal the damage of an acid attack. This includes excessive coffee consumption. For an increasingly health-conscious population, that message is still not getting out. Acid attacks and remineralization can live in harmony and dental disease prevented if the body’s natural defences are kept in balance. The old saying, “Everything in moderation” is true when it comes to our consumption of foods/drinking containing sugar. The cycle of damage and repair that occurs with our teeth is a natural process that happens all throughout the day. The goal is to minimize the degree of destruction and keep this system in balance by allowing the salvia the necessary time to remineralize damaged enamel so that decay does not get the upper hand. 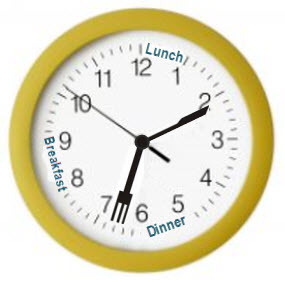 In fact, rarely do our children go more than 180 minutes without eating! Some parents tell us that their children literally never stop eating … it’s one snack after another from the time they open their eyes until the time they go to bed. It’s only when we explain that how often food is eaten is just as important as what is eaten that they begin to understand why their children are getting so many cavities despite diligent tooth brushing habits. That’s 7 meals and possibly 7 acid attacks/day! If there is the additional consumption of drinks other than water then there’s more damage being done than you realize – despite all your good efforts to help your children keep their teeth brushed and flossed. Even if you are keeping your meals spaced out, but are sipping beverages throughout the day, you are interfering with your body’s ability to keep your teeth cavity-free. Making sure that you are getting all the vitamins and minerals you need to create healthy, decay-fighting saliva is also an important component of this process. Your body’s ability to repair your teeth is dependent on your current health and nutrition status. At Your Smile Dental Care, we know that you like your teeth and we presume that you probably want to keep them. We also understand the love affair with coffee and why it an important part of people’s lives. Our job is to help our patients understand the benefits and risks associated with their eating choices and help them make some adjustments in their consumption habits. 1. Water. Keeping a glass of water with you and alternating between coffee and water throughout the day. This will help wash out your mouth and prevent your saliva from becoming too sugary and eating away at your teeth. 2. Using a straw. Consider sipping from a straw to help the liquid bypass your teeth. To keep the sugar out of your saliva you’ll still need to drink water in between sips. 3. Timing your drink. Consider having your beverages during meal times or at least consume your drink within 15 minutes. 4. Brushing. Introduce the idea of brushing your teeth at work or school. Wait 30 minutes after you eat to brush your teeth however, since your teeth may still be in a “softened” state of damage from the acid attack it just received. 5. Stop the Snack Attacks. Reconsider snacking in between meals to allow your body to recover from your last eating episode. Unless you’re diabetic or have another health condition that obliges you to eat more frequently, non-stop grazing should not go on throughout the entire day. 6. Gum. Chewing sugar-free gum after your drink will help stimulate your saliva flow which will in turn help rinse and neutralize the acids in your mouth. 7. Know your limits. The proper size and quality of your meals should keep you satisfied until your next meal. If your body have become accustomed to snacking, it may take a few weeks for your body to adjust, but it will and you may enjoy your meals more. Know your body needs and consume healthy calories according to your activity level and you keep your energy between meals. The athlete in training has a different set of nutritional requirements than the average person does. Like us, our children look forward to the little “pick me up” they get at recess. 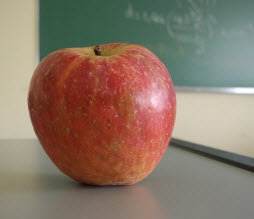 We wonder sometimes if recess snacks aren’t what is “distracting” some kids. Your child will be more likely to eat their dinner if they are not offered too many options for eating too often. A healthy and nutritious breakfast will carry them through until lunch and still keep their brains capable of learning. If a recess snack is necessary consider a food item like cheese that will coat teeth or crisp fruits and vegetables like apples, carrots and celery that stimulate saliva flow and help clean plaque from teeth. 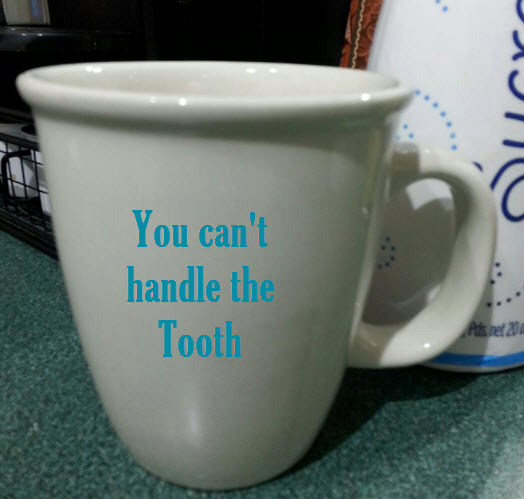 No one is saying that you have to give up your beloved coffee, but if you have been experiencing your fair share of cavities lately, it may be one area of your life that needs further investigation. We’re here to inform and help you in any way we can on your journey to better dental health. Like the rest of your body, your teeth depends on good food choices to stay healthy. If you would like additional information on snacking, please visit the Ontario Dental Association for more Nutrition Sites. Previous postYou rinsed with WHAT????? Next postWhat causes a Dry Socket?